About a year ago Google reportedly bid $6 billion for the Groupon service and they were turned down. Enter Google Offers which is, essentially, exactly the same idea. You check out the offers via a free app (there’s a website component too) and when you find a deal that you like the look of you buy it. 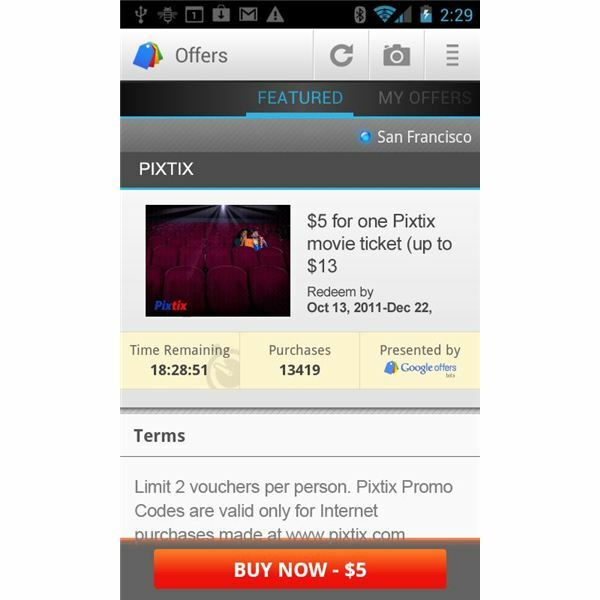 There’s no need to print anything; you can redeem the offer using your smartphone. The deals are all limited availability and so they’ll have a time limit or a number limit and a number per person limit. Once you buy a deal you’ll also have a limited amount of time to use it. They cover all sorts of businesses from coffee shops to movie theaters to beauty salons to museums. The discounts and deals vary wildly and there is the potential to save a lot of money. How Good is the App? The app is very clearly laid out and very easy to use. The interface is clear and you can see a list of offers in your area at a glance — if your area is covered. The app is still in beta so it only covers 22 major U.S. cities right now. The roll out will continue so keep an eye out for your city being added soon. If you have a Google account of any kind you can use the same log in and Google Offers benefits from integration with other Google services. For example you can pay using Google Checkout, look up businesses using Google Places to see reviews, and then navigate there using Google Maps. It is easy to scan through the featured offers and there are a limited number at the moment. You can also scan barcodes to see whether there is a Google Offer on that item right now. It’s unlikely there will be, but if the service grows then this could be a good feature. You can purchase or save offers and then review them along with your used and expired offers. 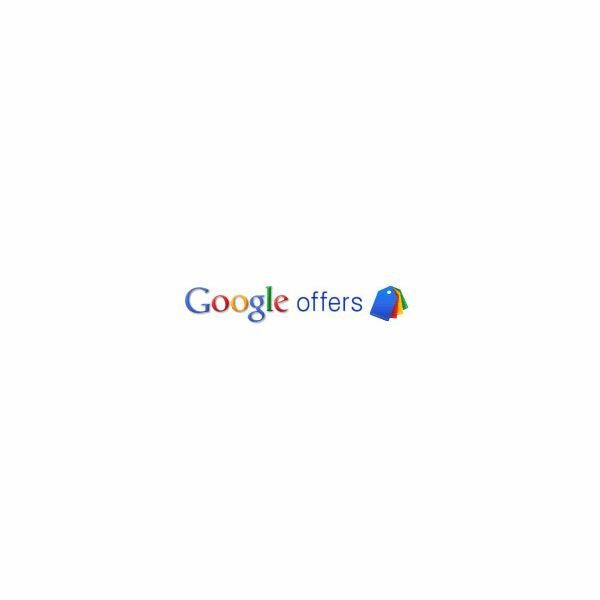 The Google Offers app works perfectly well and the fact you can redeem offers direct from your smartphone without having to print anything is great. The main problem is simply the fact it is very limited right now. There are a limited number of cities covered and within those cities a limited number of deals. It will take time for Google to roll the service out and to get businesses on board, but I wouldn’t bet against it growing fast. As it stands it seems as though the same offers and functionality are already covered by Google Shopper and Google Wallet and so you could be forgiven for wondering why Google Offers isn’t just merged into these apps. It would make sense to integrate it. 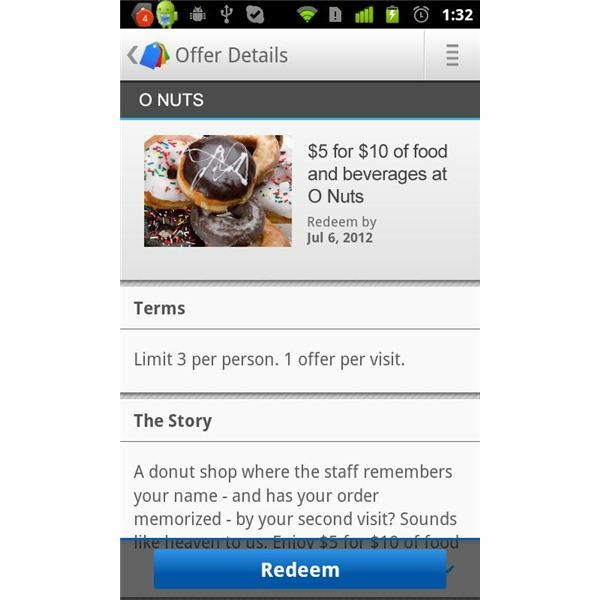 The app could also really use an integrated option to share deals via social networking or messaging. It seems likely this will be on the way, you would imagine starting with Google+, but we’ll have to wait and see. Haven’t I Seen This All Before? Yes you have. There are actually a lot of deal apps in the Android Market. Groupon is by far the most famous. 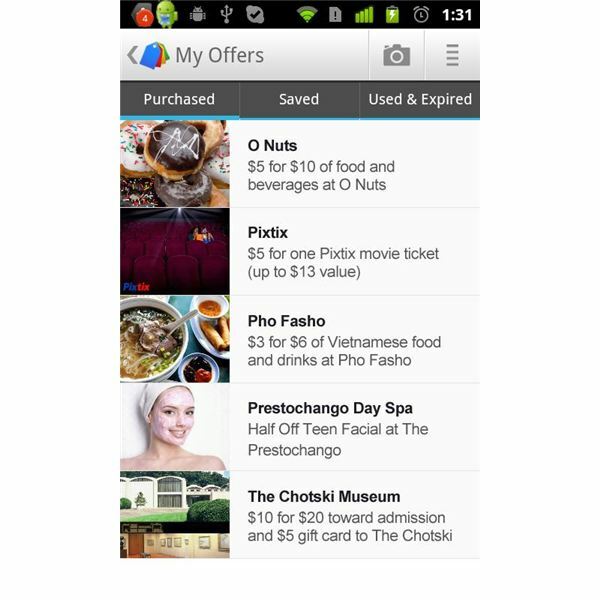 It offers much wider coverage, loads of discount deals with similar limitations and if you use the Android app you can also avoid printing anything out to redeem your deals. Google Offers also lacks a comment section where buyers and prospective buyers can discuss the deals and run through questions. Groupon is the current market leader so it will inevitably take Google Offers a while to get up to speed. As the functionality improves and the coverage and deals increase it should become a real competitor. How long that will actually take is difficult to predict. The thing is the deals and offers on both apps are not the same so it is definitely worth comparing them and investigating where you’re going to save the most money. For Google Offers to break into this market and really take off it will have to offer deals that are better than what the competition is offering. Of course, if you’re really committed to saving cash then you’ll just use both apps. If Google Offers covers your city then you have nothing to lose by checking it out. The app and service is free to use, although you’ll need to use Google Checkout and your credit card to actually buy anything. The app is well designed and you can certainly see the potential, just remember that it is currently in its infancy so don’t expect too much – it will get better with time.